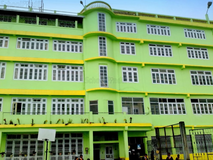 Find below the list of top CBSE schools in Shyam Cottage - Darjeeling with phone number, address, 360° School tours, 2018-19 Admission forms & Fees, photos, facilities & more. 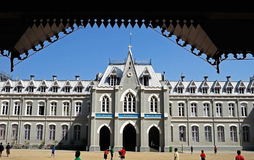 St. Paul's School is an independent boarding school for boys situated in the town of Darjeeling, West Bengal, India. Entrance tests for admission are held every September. The school follows the ICSE curriculum till the 10th year and the ISC for higher secondary. Green Lawns School is located in Chandra Bose Road, Darjeeling. follows the ICSE board. The school has English medium. Gyanoday Niketan is located in Shyam Cottage, Darjeeling. It was established in 1988. This school follows the ICSE board. The school has English medium. St Milarepa Academy is located in Pokhari, Darjeeling. follows the ICSE board. The school has English medium. 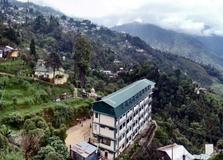 Vrindavan School is located in Kalimpong, Darjeeling. It was established in 1990. This school follows the ICSE board. The school has English medium. Kamal Jyoti Vidyapeeth is located in Gandhiroad, Darjeeling. It was established in 1980. This school follows the CBSE board. The school has English medium. 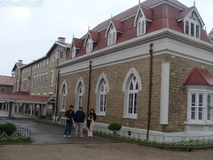 Notre Dame Academy is located in West Point, Darjeeling. It was established in 1985. This school follows the CBSE board. The school has English medium. 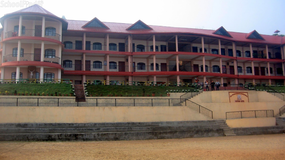 Sai Sundaram School is located in Dilaram, Darjeeling. It was established in 1983. This school follows the CBSE board. The school has English medium. You and your child deserve to be looking only at the top CBSE schools in Shyam Cottage - Darjeeling. We at Sqoolz, have created an all-encompassing list of best CBSE schools in Shyam Cottage - Darjeeling so that you can pick the one that is most suitable for your needs. Is the location viable? Is the school big enough? What additional facilities do they provide? Find answers to all the important questions with us. You can even take our virtual tour and see for yourself whether or not the school fits your child's needs.